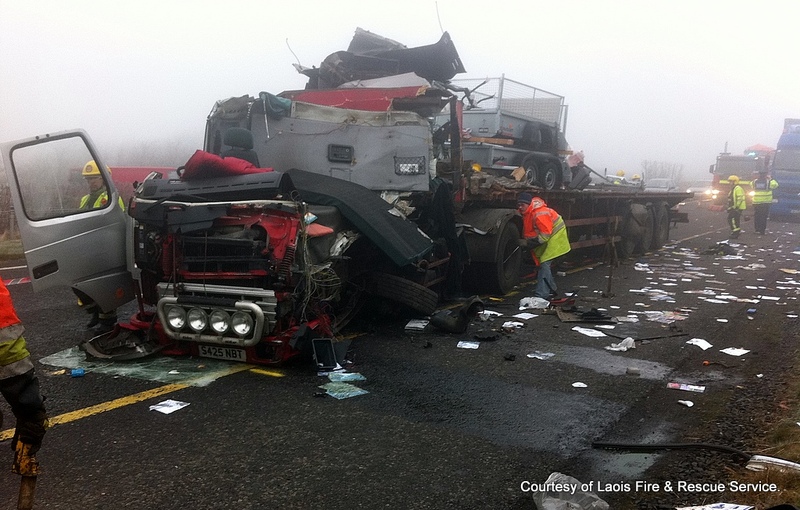 One of the lorries in the multiple M7 pile-up. This was one of the lorries involved in the M7 pile-up a short time after impact with another lorry. Amazingly, despite the damage done to his cab, the driver escaped with no serious physical injuries. Apparently, he was just sitting in his cab waiting to be cut from the wreckage, was later treated for minor scratches and released to go home. Now that’s one lucky trucker! Previous Previous post: Today’s election proceedings so far – brief summary.